Hi! 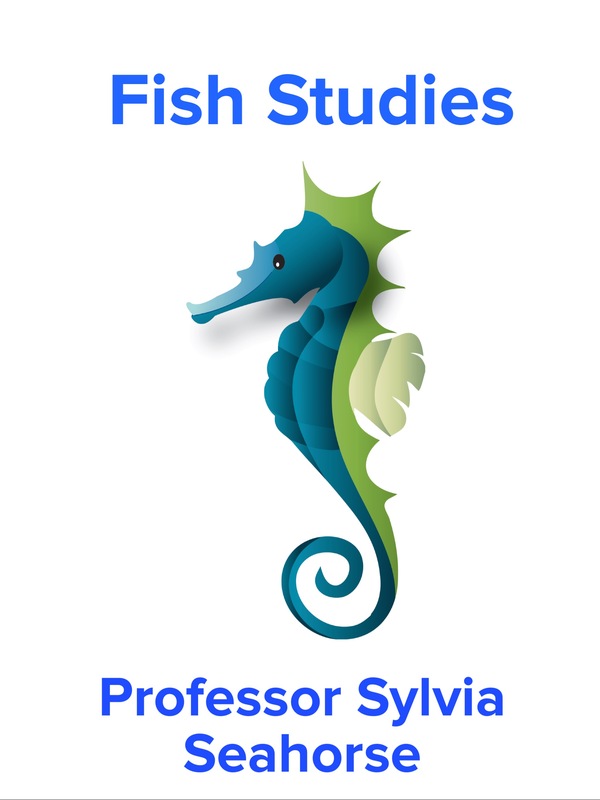 Welcome to Fish Studies everyone! I bet you didn’t know that we seahorse are fish! Well we are and I’m here to share what makes a fish a fish with you! Number of fish species- 24,000 and growing! Scientists discover new species all the time! We fish were the first vertebrate animals on the earth! We occupy the world’s oceans and fresh water bodies of water; including lakes, rivers and ponds. Fish have gills that we use to extract oxygen from water and expel carbon dioxide. They serve the same function as a mammal’s lungs. Fish have scales. Our scales are different, some are smooth and some are rough. Sharks’ scales are called dermal denticles. Some fish like hagfish have no scales. Fish have fins for swimming. Fins are shaped for the type of swimming a fish does- some are built for speed and some are small (like mine). We fish are vertebrates, we all have back bones. Most fish are exothermic, cold blooded. Fish are classified in three groups; jawless fish (hagfish and lamprey- they also have no scales), cartilaginous (sharks and rays) and bony (like me). Some fish lay eggs, some incubate their eggs in a womb and some incubate their young in wombs similar to mammals. We fish can detect chemicals and vibrations. We often have keen eyesight and a great sense of smell. Fish do have ears! Not big goofy ones like some mammals, but internal ones. We also have an extra “organ” to help us “hear” and detect vibrations. This is called the lateral-line. This line of cells runs the length of our bodies and helps us detect motion. Schooling fish who swim in synchronized groups use their lateral line to swim in these formations. Sharks and rays have yet another “organ” that helps them detect electrical fields. It’s called the ampullae of Lorenzini, gel filled cells that help our cartilaginous cousins detect even the faintest of electrical fields. This is something no other animal can do! We also have a swim bladder that keeps us buoyant in the water. Fresh water fish have a bigger swim bladder than salt water fish. Bony fish swim bladders are filled with a gas that is less dense than water. In cartilaginous fish, their swim bladder is a large oil rich liver that is less dense than water! So there you have it students, fish 101! Of course there is much more to learn about us and that’s why Ellie and Edmond meet fish friends often!